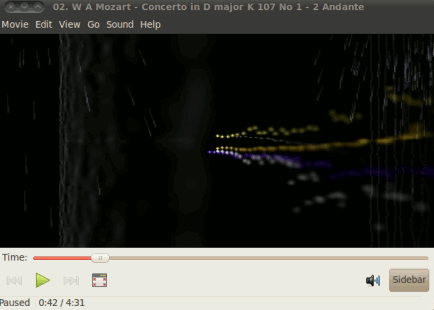 On Ubuntu 10.04(Lucid Lynx) you can play mp3(MPEG-1 Layer-3) files in many ways because there are lots of players available.In this post,the two most important and best mp3 player is described for ubuntu 10.04. This is the default media player for Ubuntu 10.04 which is installed by default but still you won’t be able to use this for playing mp3 files until you will installed missing plugins and libraries that is not installed by default but required for playing mp3 files.When you will first open mp3 songs with movie player then it will ask for installing missing plugins.Click on Install missing plugins and it will complete within few minutes.Now,you to play mp3 files just double click on mp3 files or open it with movie player after right clicking on it. VLC player is one of the most robust open source media player.It is a good choice for playing mp3 files too.Since vlc player is not installed on ubuntu 10.04(By default) so you will have to install it from software center or synaptic package manager.If you don’t know how to install vlc player on ubuntu then click here – Install VLC player on Ubuntu for tutorial described in steps.After installing the vlc player,to play mp3 files,just right click on the file and open with vlc.